It is fitting that at his last Knowledge Share — a team-wide Friday ritual where the Grantbook team shares inspiring insights and important updates — Anil Patel, Co-Founder of Grantbook, partnered with Philanthropy Solutions Advisor Tierney Smith to share highlights from the 2017 book, The Power of Moments, by Chip and Dan Heath. The Power of Moments helped verbalize Anil's intuition for experiences that make an undeniable impact. Magical moments are flashes of surprise and delight that happen when our clients and partners awaken to possibility, unlock a fresh perspective, or uncover a new approach for achieving their strategic vision. Just as the Heath brothers champion the importance of understanding why we remember certain moments, Anil has long championed his own version of memorable moments — “magical moments”. Magical moments are flashes of surprise and delight that happen when our clients and partners awaken to possibility, unlock a fresh perspective, or uncover a new approach for achieving their strategic vision. In no small part due to Anil’s influence, magical moments have become the heart of our work at Grantbook. We live for cultivating these magical moments for grantmakers and their networks. 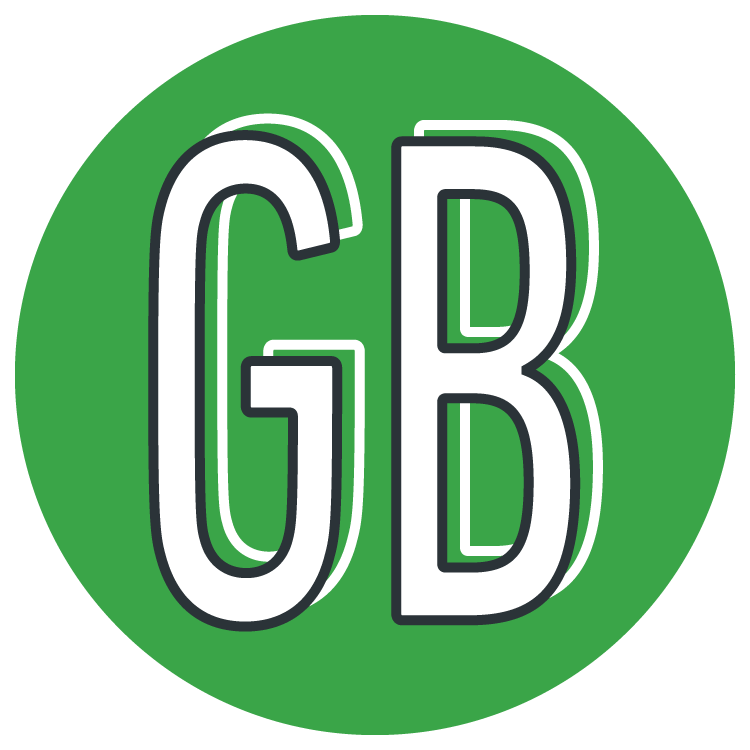 As Anil departs Grantbook to embark on new adventures in the Future of Work, we’d like to take this moment to reflect back on the passion, vision and sheer exuberance Anil brought to his work and to the culture of Grantbook. What makes a moment magical? Elevation - Memorable moments rise above the routine and make us feel engaged, joyful, surprised, and motivated. Insight - Memorable moments deliver realizations and transformations, helping people “trip over the truth”. Pride - Memorable moments commemorate people’s achievements by recognizing one another and celebrating meaningful milestones. Connection - Memorable moments bond us together, through “synchronized moments”, responsiveness, and working in unity towards a meaningful goal. Anil’s magical moments combined all four ingredients in varying ways, but added one more key ingredient: his own unique skill at combining deep sector knowledge with boundless imagination around process, technology, and design. These magical moments have resulted in a collection of visuals, phrases, and concepts that continue to shape the way we work--a few of which we’d like to share with you. Elevation makes moments memorable often because they boost a sensory experience, raise the stakes and/or break the script. Anil sparked elevation in our work by prompting us to create moments of surprise and delight: rather than just meeting the status quo and creating predictable presentations and deliverables, we were challenged to go beyond, break the script, and spark moments of surprise and delight. Most importantly, Anil wanted us to ensure that our work was more than just functional -- it was also beautiful. One of the many ways we accomplished this was by incorporating creative illustrations and unexpected metaphors in our work. 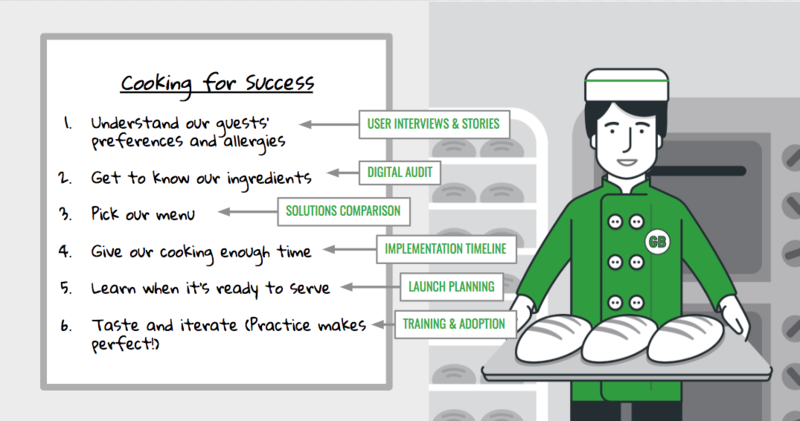 A team favourite is the illustration of our master baker, whose skill at combining the right ingredients to bake delicious goods for his diners serves as an analogy for creating software recipes that integrate right-sized tools for grantmakers. Ever a metaphor fan, Anil likened software integration to baking: both require combining the right ingredients in the right measures to please your stakeholder. Not only must the ingredients work well together, but they also have to suit the end user’s tastes. With the right recipe and the right skill, a great digital environment is like the perfect loaf of bread: it’s nourishing, fulfilling, and fuels your best work. Rahi himself was the audience for one of Anil’s earliest demonstrations of the “art of the possible” -- a demonstration that ultimately changed the trajectory of Rahi’s career. Anil showed me Salesforce, event registrations, artwork submissions saved in Box and on and on, and, all of this tightly integrated and available with a few flicks on his iPhone. I came back to Skills for Change, a changed person. I credit that conversation for putting me in this line of work. We strive to continue creating moments like this throughout our work, moments that prime transformative realizations about the art of the possible. Of course, many of our most memorable moments are celebratory: moments that make us feel proud as we commemorate our achievements. We can deliver pride by recognizing one another, multiplying meaningful milestones, and practicing courage through “preloading” our responses in advance. These celebratory moments serve to not only improve the experience of our team members and our clients, but also help bring us together. Anil had an all-around reputation for emphasizing celebratory moments; he’d often craft flags, string pennants, posters, gift packages and more to commemorate meaningful achievements both at Grantbook and in his personal life. Anil was as crafty as he was innovative -- constantly creating physical collateral that elevate and commemorate digital victories. To commemorate clients’ GMS launches, Anil sparked the idea of a change management “survival kit” for our clients. Inspired by adventure kits, this is a care package of tools, resources, and refreshments intended to help ease the change management process as our clients embarked on a new journey with a brand new digital environment. A few artifacts of Anil's tenure at GrantBook, including his "Change Management Survival Kit". Inspired by Anil’s celebratory spirit, our team has enjoyed cultivating moments to recognize meaningful milestones. One of our favourite team rituals is to celebrating GrantBook Anniversaries: in the month of a team member’s hiring anniversary, we dedicate a portion of our Friday Knowledge Share time to take turns speaking to that person’s strengths and contributions to the team. These celebratory moments serve to not only improve the experience of our team members and our clients, but also help bring us together. Few moments would be so memorable without a connection to the people involved in them. 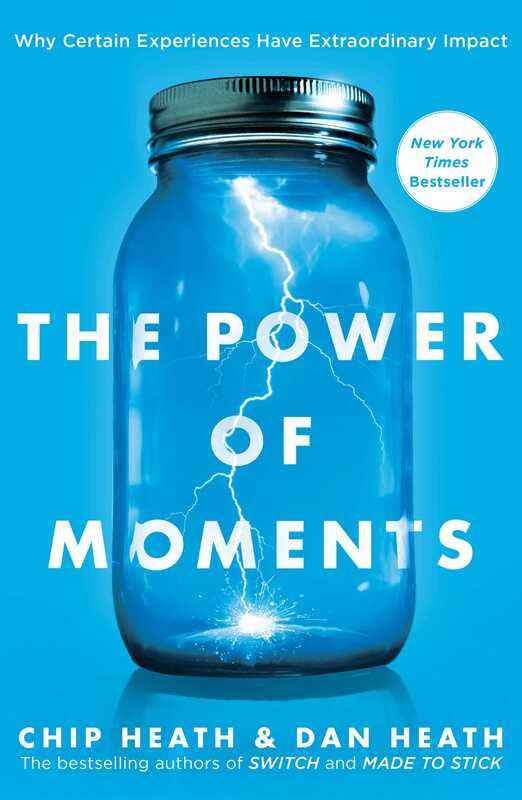 Through “synchronized moments” and responsive interactions, we can build relationships that foster moments of connection. 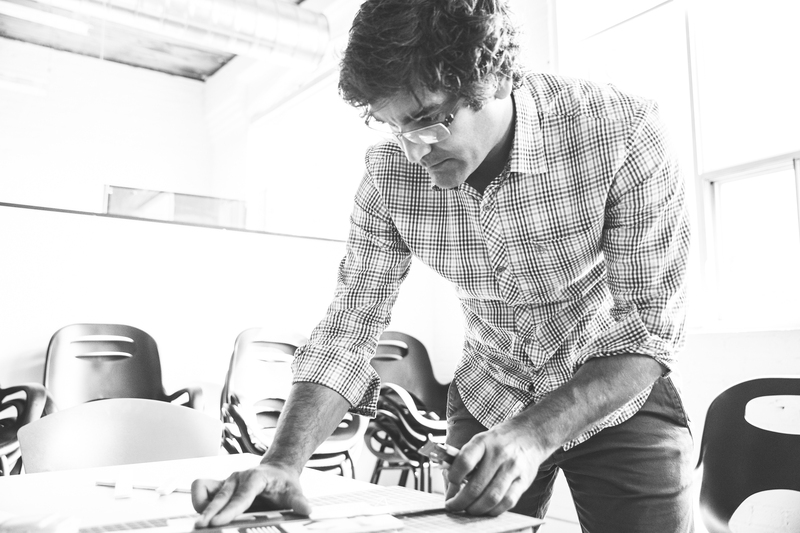 At Grantbook, Anil introduced the usage of user personas from human-centered design to cultivate empathy and connection in the core processes of our work. User personas are fictional characters constructed from research gathered on different stakeholders that might use a product or service. For example, a user persona for a grants management system (GMS) might be a Program Manager named Theresa who specializes in Seed Grants. User personas like this help to cultivate context around why and how people use our services, and guide our work so that we can ensure it is relevant for the people at the core of grantmaking organizations. User personas are fictional characters constructed from research gathered on different stakeholders that might use a product or service. Anil combined user personas with his expansive knowledge of philanthropic foundations to form a foundation persona: the XYZ foundation. A snapshot of the website of our foundation user persona: The XYZ Foundation. We've also created GMS sandboxes, registered SaaS tools, and created integrations just for the fictional XYZ Foundation. Today, this foundation and its personas can be found all over our marketing materials and deliverables, and tools of empathic human-centered design such as user research, user stories, user interviews continue to form a core part of our practice. On his personal website -- Sharewell Patel -- and throughout his years shaping Grantbook, Anil championed the use of innovative frameworks, design thinking, and technology for social good, bringing a fresh perspective and the art of the possible to the world of philanthropy. That remains deeply ingrained in Grantbook’s DNA and will always inform our approach to growing the entire sector. As Anil would say, share well and prosper!